"Xlnt value, staff very knowledgeable , walking distance to t..."
Have a question for Hotel Inglaterra? "Hotel staff very friendly and helpful." "It also has a wonderful location, only a few minutes away from the Alhambra." "Value for money was good." 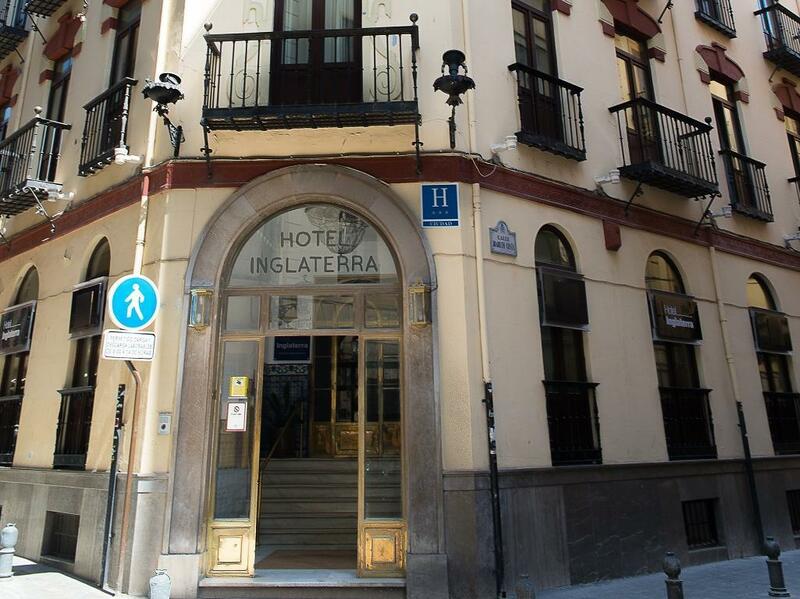 The Hotel Inglaterra is set in a 19th-century building full of character with many of the original features complemented by modern furnishings. 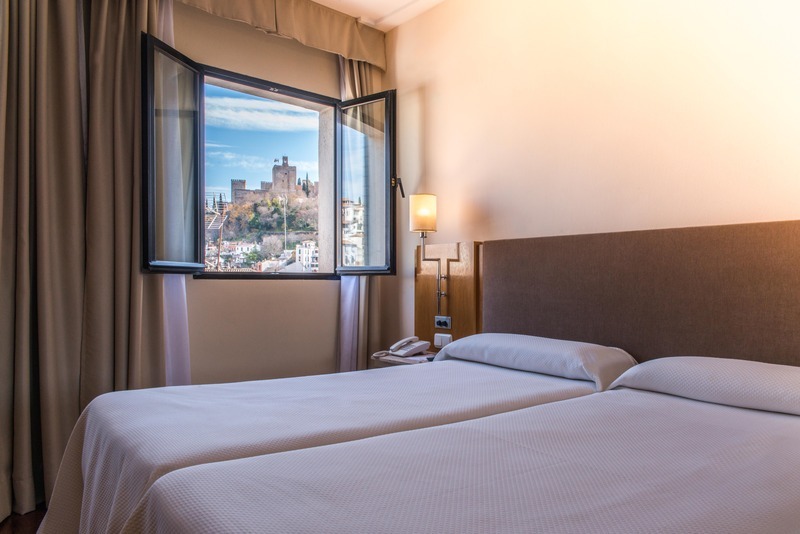 The hotel is located in a great spot, ideal for guests looking to do a bit of sightseeing, with the cathedral and Calle Elvira close by. There are lots of exciting restaurant and tapas bars nearby where guests can wine and dine until the early hours of the morning. On-site amenities include a meeting room, and high-speed Internet access is offered for all guests. "Excellent location and staff were very friendly"
The hotel was great! It also has a wonderful location, only a few minutes away from the Alhambra. Everything else was clean.. value for money was good. The lady at the reception just was quite snappy when I just asked for help regarding the door. Don’t know if she was stressed or not, but regardless, she should talk politely to guests even she’s under stress. But everything else was A-OK.
A cozy hotel with lobby and dining area. We chose not to have breakfast since there were spoil of choice round the corner and on the main road, Calle Colon. There is an elevator which made it easy going up and down with our luggage. Not every hotel has one. We got loss when we went to pick up our rental car and ended up late to check out. We were not penalized and the staff was most helpful and sympathetic. Just one caution; don’t waste your time and money renting a car. 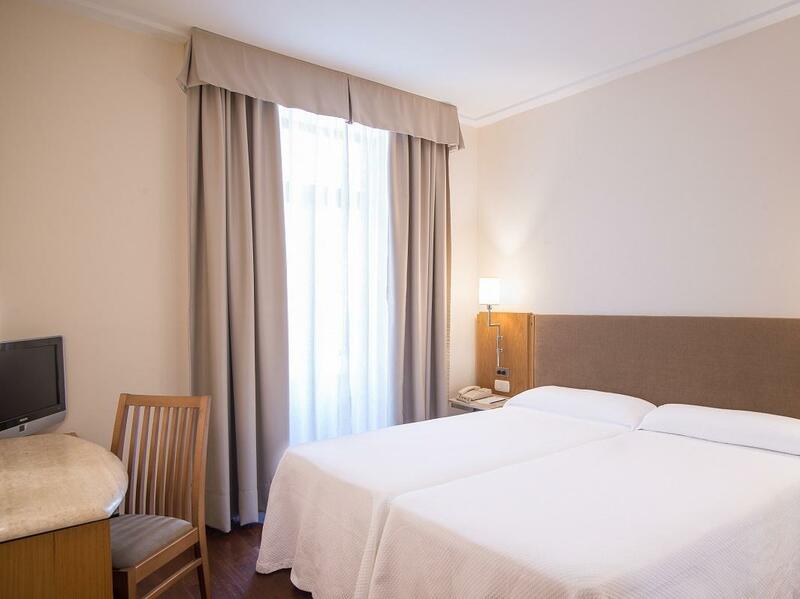 The location of this hotel is perfect to visit the city center and Alhambra. Everything doable by foot. The staff was very helpful showing where to good streets are to get dinner and what nice walking routes are to see everything. The breakfast was of very good quality and nothing wrong with the rooms. One bad thing is that the Agoda page says it has car parking. What it doesn't say is that there are limited places available and it costs 18 euros extra. I selected the hotels on parking possibilities and we needed to park for 25 euros a night somewhere else because the hotel parking was full. Overall, the hotel was fine. The room we had was a little small, but very comfortable and the bathroom was a good size. Getting to the hotel from the west was difficult. There were no hotel signs form that direction, and the main through road was not open to traffic apart form buses and taxis. We had to drive that road anyway to get to the hotel. The plumbing is noisy, especially at night, but otherwise, good double-glazing keeps the rooms quiet despite being in the middle of a very popular area for bars. Tip: go to Realejo to eat and drink. The bars are far better priced, with reasonable quality food compared to the area around Plaza Nueva. Parking at the hotel is a bit expensive, but it is in a secure, underground area, so there is no chance of getting annoying, anonymous dents on your hire car! My girlfriend and I were only in Granada for one night and this location was great as it was close to all of the touristy things and within the city center. The hotel staff was friendly and let us store our bags after we checked out so we could tour the city some more. Overall the stay here was great and we would recommend and we would stay here again. It is located in heart of Granada. So we could go without any inconvenience. But bed was a little bit hard, and extra bed was awful to get asleep. Shops, scenic spots, bars, restaurants are nearby. Simple hotel with basic needs, good for short stay. Reasonable price, Freindly staffs, Pretty nice breakfast(delicious croissant), Percect rocaion for going airport and alhambra. But quiet noisy because of tapas bars. Spent two nights. Hotel staff very friendly and helpful. Single room comfortable and nicely planned use of space. Bathroom excellent, with counter space, hair dryer, outlet, etc. Included breakfast had a wide spectrum of options. Only real negative was air conditioning too powerful for the small room, resulting in either no cooling or blasting frigid air directed at the bed. Most enjoyable stay. Love Granada and this hotel is right in the middle of everything. There is a Tapas bar just around the corner from the front door in Calle Cetti Meriem (first bar opposite hotel towards Calle Elvira) which has magnificent Tapas for 2 euros and that includes a glass of beer or wine. We only discovered it on our last night, after eating so-so food previously. The hotel itself is clean, comfortable and the staff are friendly. Literally everything, (except for the main train and bus stations -but even these are an easy bus ride away) is on your doorstep. Loved our stay. Like all hotels in Spain, there were no tea or coffee making facilities outside breakfast. Wish we could have had that. The coffee from cafes and bars was too strong for me. Even just hot water would have been nice. It was a very pleasant stay. the staffs manning the front counter were very friendly. the location close to Al Hambra, nice early morning walk up the hill, wear comfortable shoes thou. lot of cafes nearby which are very friendly to tourists. clean & comfortable bed. Hotel was conveniently located in walking distance to Alhambra & other sights of interest. Convenient to good restaurants, cathedral & markets. Excellent breakfast in cheerful, elegant surroundings. Rooms were comfortable with modern bathroom $ small balcony. Only complaint was street noise outside in the alleyway. I had no issues what so ever. it was a really pleaseant stay. only problem is in my room there wasnot any charging ports near the bed. other than that it was perfect! the most amazing smelling shower gel i have ever used!! Stayed in this hotel for 1 night. Good location, near the cathedral. 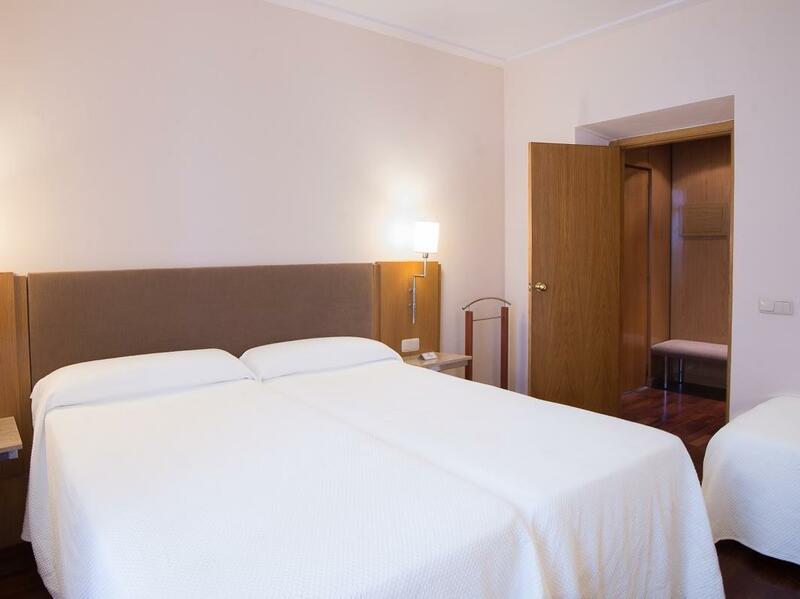 Chain hotel with modern and clean rooms. Nice staff. Free wifi. The hair-dryer in my room didn't work though. Overall good value for money.